Tag Archives for " Reach "
I think many of us associate time outside of our comfort zone as a negative thing, but in my experience, it’s where all growth occurs. I’m not suggesting you need to subject yourself to painful experiences but I do think if you fear something there’s a pretty good chance it’s calling out to you. I know when I first started speaking to groups I was very outside of my zone, but I also knew it was where I needed to go to achieve my goals. My guest for this week’s episode of the Duct Tape Marketing Podcast is Andy Molinsky. 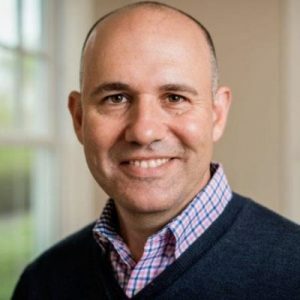 He is a professor at Professor at Brandeis University’s International Business School and is the author of a book called, Reach: A New Strategy to Help You Step Outside Your Comfort Zone, Rise to the Challenge and Build Confidence. He and I discuss why stepping out of your comfort zone is important and how to take the leap in that direction. Molinsky’s work helps people develop the insights and courage necessary to act outside their personal and cultural comfort zones when doing important, but challenging, tasks in work and life. His research and writing have been featured in Harvard Business Review, Inc. Magazine, Psychology Today, the Financial Times, the New York Times, the Wall Street Journal, the Boston Globe, NPRand Voice of America. Why is the term “comfortable” taken as a negative connotation? What keeps people in their comfort zone? What are some success stories you’ve heard of people stepping out of their comfort zone? Learn more about Andy Molinsky. Read Reach: A New Strategy to Help You Step Outside Your Comfort Zone, Rise to the Challenge and Build Confidence.